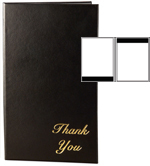 Coordinate your menu cover ensemble right down to the presentation of the check. 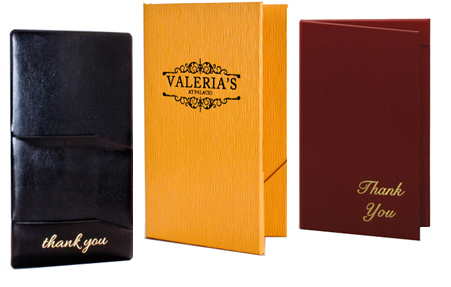 Our selection of guest check presenters and other wait staff pads can be used alone or matched with many of our menu cover styles. Some may be foil stamped with your custom artwork. See individual items for details and minimum order requirements.